In 2007, Tracey Ford’s life stopped in its tracks when she heard the news that her son Andre had been shot while at his friend’s ice-skating party. Andre died from his injuries. He was 17 years old. He was one of 27 teenagers in London who lost their lives to gun and knife crime that year. 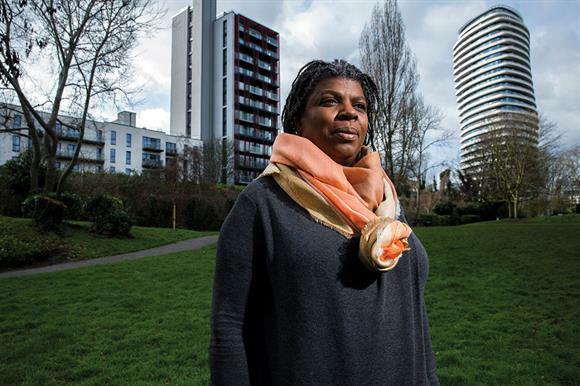 To help prevent similar tragic loss of life, she decided to do something to stop the culture of gangs and youth violence by speaking out on the issue. "A youth crisis had hit the streets and I was being asked more and more to speak at community meetings, church meetings and marches," she says. This led Ford to found the JAGS Foundation as a community interest company in 2010. JAGS is an acronym of her son’s full name, James Andre Godfrey Smartt-Ford. JAGS raises awareness of the consequences of youth murder and addresses the problems affecting young people today. It offers peer mentoring in schools and also works with agencies that help vulnerable young women. Women supported by the project have gone on to volunteer, using their lived experience to help others move away from youth crime. Ford says knowing that the charity is helping to change the life path of young people has helped her to cope with her personal loss. There are a number of large organisations that work with young people, but Ford says smaller organisations are useful to help the many children who won’t work with the bigger ones "because of the fear they associate those big organisations with, rightly or wrongly. You have to help to educate young people at their level." For her, lived experience brings knowledge and expertise that cannot be bought or taught. "The real insight into the after-effects of any lived experience is what helps to direct, change and influence policies and services, and helps to address unmet need."